We’re not the only ones taking notice though. In his book, Emerging Adulthood: The Winding Road from the Late Teens Through the Twenties, Dr. Jeffery Arnett says, “In the past few decades a quiet revolution has taken place for young people in American society, so quiet that it has been noticed only gradually and incompletely.” This revolution? Emerging Adulthood, the rise of a new period of life for young people in the United States and other industrialized societies, lasting from the late teens through the mid-to-late twenties. This period is not just “staying a teenager” longer, it’s much different, much more tumultuous and can give rise to many issues between families and their ’emerging adult’ children. 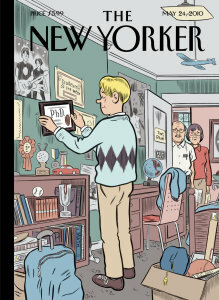 In the article photo the cover of The New Yorker poked fun at this emerging trend in its May 2010 issue’s article titled, Your New College Graduate: A Parent’s Guide. Its opening line, “Congratulations! It took four years and hundreds of thousands of dollars, but you’re finally the parents of a bona-fide college graduate. After the commencement ceremony is over, your child will be ready to move back into your home for a period of several years. It’s a very exciting time.” Covering everything including groceries, work, dating, drinking and daily hygiene practices the article humorously highlights the key issues facing families parenting children in this new season of transition. 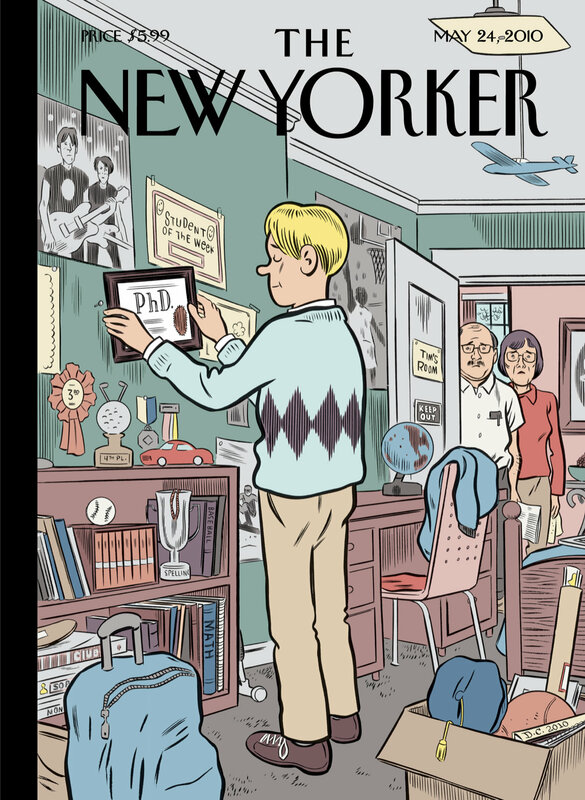 All across America, families are discovering that the 20s are becoming a new season of exploration, frustration, anxiety and worry—on both the parents and the young adult. But, why exactly is the shift occurring? Less than 50 years ago, the median age for marriage was 22 for men and 20 for women. Today it’s 28 for men and 24 for women. Additionally, a majority of young people attend some college with women now making up the majority of college undergraduates, choosing to build a career before marriage and children. The shift in the overall sexual attitude also has an impact. Decades ago, young people got married rather than face the risks of pregnancy outside of marriage. Now with birth control and the acceptance of sexual relationships outside of marriage, the commitment of marriage is pushed to later in life, if at all. So what is it about emerging adulthood that makes it so significant for a young adult? A New York Times article titled, What Is It About 20-Somethings?, puts it like this, “We’re in the thick of what one sociologist calls ‘ the changing timetable for adulthood.’ Sociologists traditionally define the “transition to adulthood” as marked by five milestones: completing school, leaving home, becoming financially independent, marrying and having a child. In 1960, 77-percent of women and 65-percent of men had, by the time they reached 30, passed all five milestones. Among 30-year-olds in 2000, according to data from the United States Census Bureau, fewer than half of the women and one-third of the men had done so. 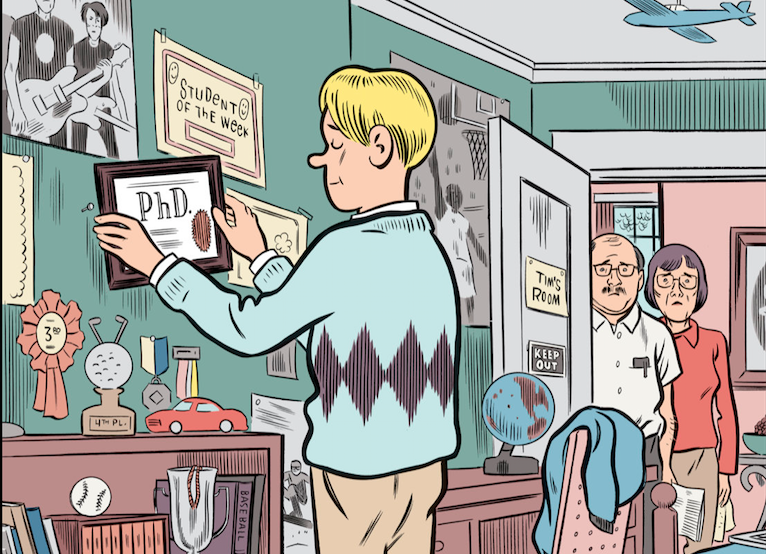 In this new category of life, there appears to be five necessary pathways toward adulthood. A few of these, especially identity exploration, are a part of typical adolescence too, but they take on a new depth and urgency in the 20s. Young people in their 20s are deciding who they are and what they want out of work, school and love. Accomplishing this means: knowing who they are, identifying their social roles, and being comfortable with that knowledge. For most, it comes down to a feeling of learning to master life successfully—which takes struggle to achieve over time. Being allowed to make wrong decisions and learn from them is an important part of this process. A young person who fails to create his identity can become confused about his role in the world. As a result, he will either conform to others’ expectations or rebel against them. The post-high school years are marked by repeated residence changes, as young people either go to college or live with friends. For most, frequent moves end as families and careers are established in the 30s. Emerging adults rarely know where they’ll live from one year to the next. They shift their education choices, majors, in-school/out-of-school decisions regularly. They often boomerang back home several times due to financial instability and poor decision-making. Many of the moves emerging adults make are for the purpose of some new period of exploration, in love, work or education. Exploration and instability go hand in hand. Freed of the parent—and society-directed routine of school—young people try to decide what they want to do, where they want to go and who they want to be with—before those choices get limited by the constraints of marriage, children and career. This is the most self-focused time of life. What to have for dinner? I decide. When to do the laundry? I decide. When (or whether) to come home at night? I decide! Go to college? Work full-time? Combine work and college? Break up with high school girlfriend/boyfriend? Move in with girlfriend/boyfriend? Date someone new? Decisions. Decisions. Decisions. Counsel may be offered or sought from parents and friends, but many of these decisions mean clarifying in their own minds what they want, and nobody really can tell them what they want but themselves. Many emerging adults say they are taking responsibility for themselves, but still do not completely feel like an adult. In between the restrictions of adolescence and the responsibilities of adulthood lie the explorations and instability of emerging adulthood. When asked if they’ve reached adulthood most 18-24 year olds answer with one foot in yes and one foot out no. 60% of emerging adults answered in this manner. Their criteria for “adulthood” was: accepting responsibility for yourself, making independent decisions and being financially independent. For nearly all young adults, it’s the meeting of all three goals that makes them feel like a bona fide adult and not a wannabe. Optimism reigns. Most emerging adults believe they have good chances of living “better than their parents did,” and even if their parents divorced, they believe they’ll find a good lifelong soul mate. This is an age of high hopes and great expectations, in part because very few of their dreams have been tested in the fires of real life. The dreary, dead-end jobs, the family issues, the disrespectful children—none of them imagine that this is what the future holds for them (neither did we, at their age). More than any other period of life, emerging adulthood presents the possibility of change. For this limited window of time, the fulfillment of all their hopes seems possible. Whether from a stable, solid family or from a broken, chaotic home life, emerging adulthood is an opportunity for young adults to transform themselves so that they are not merely made in their parent’s images but have made independent decisions about what kind of person they wish to be and how they wish to live. Eventually all emerging adults will enter new, long-term obligations in love and work, and once they do their new obligations will set them on paths that resist change and settle down. For now, while emerging adulthood lasts, they have a chance to change their lives in profound ways.